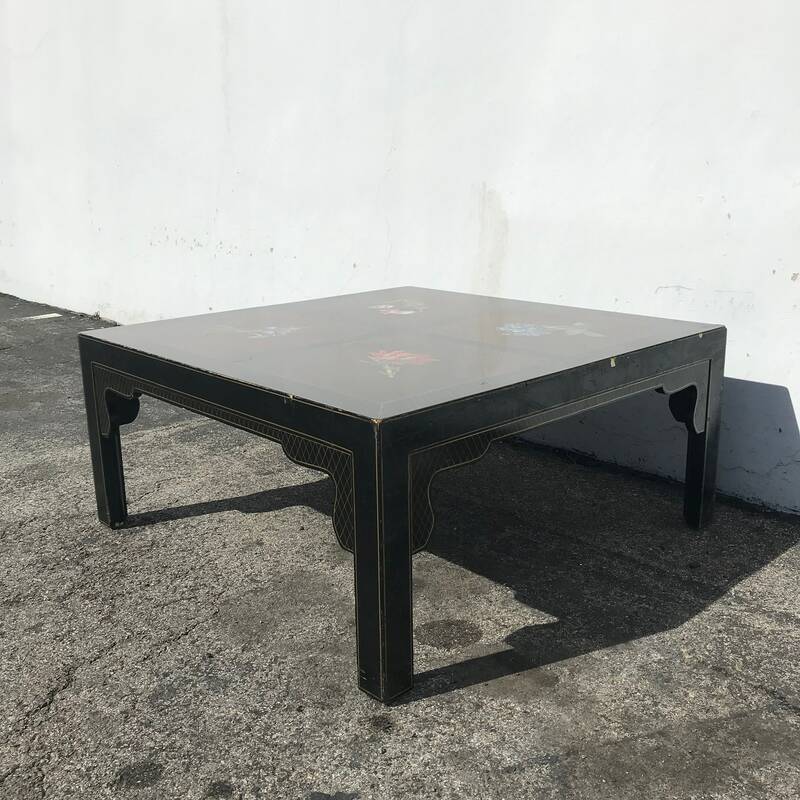 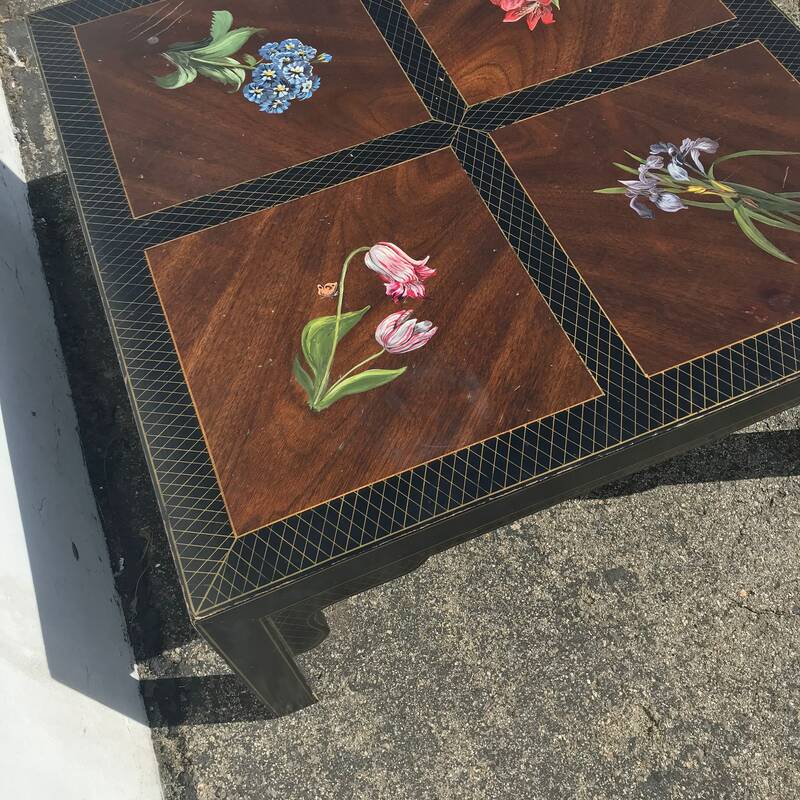 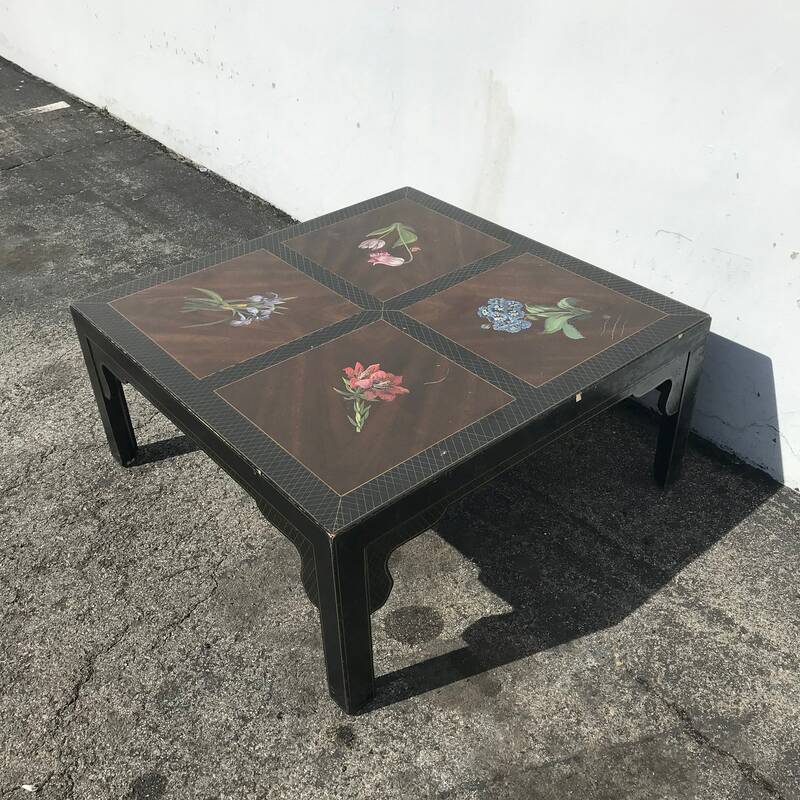 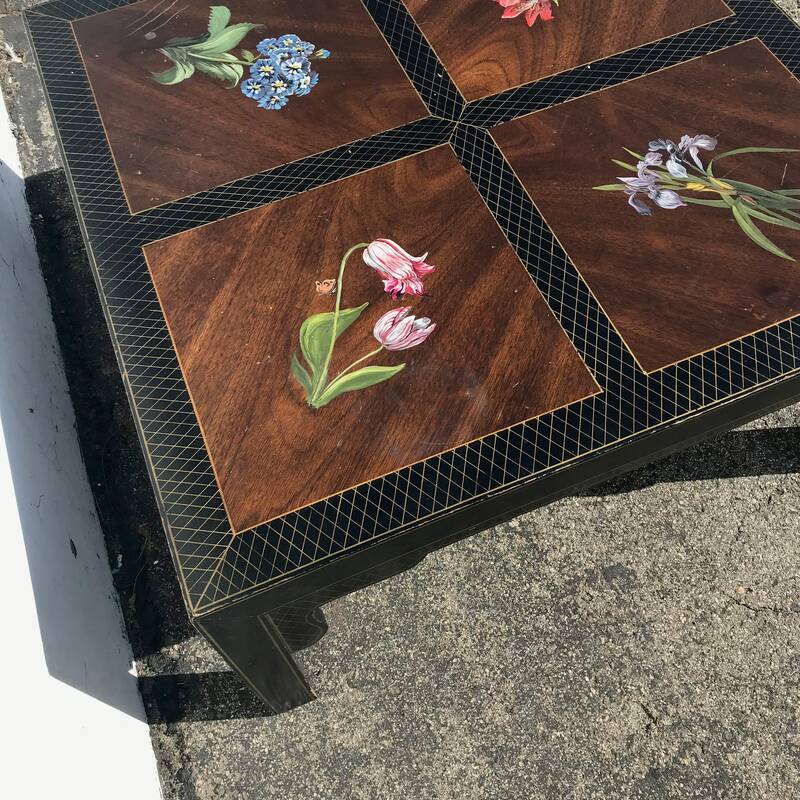 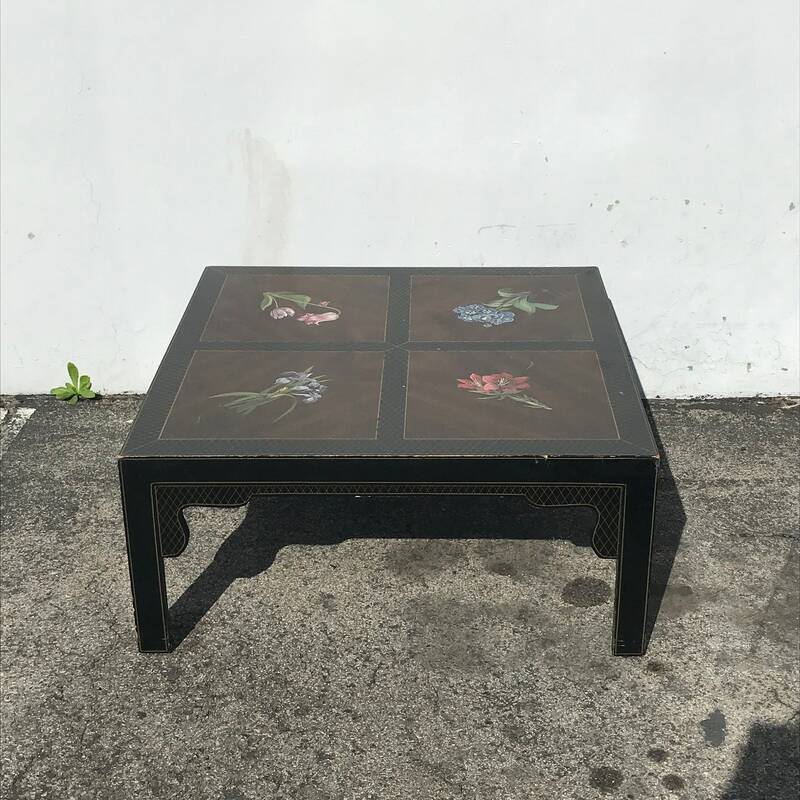 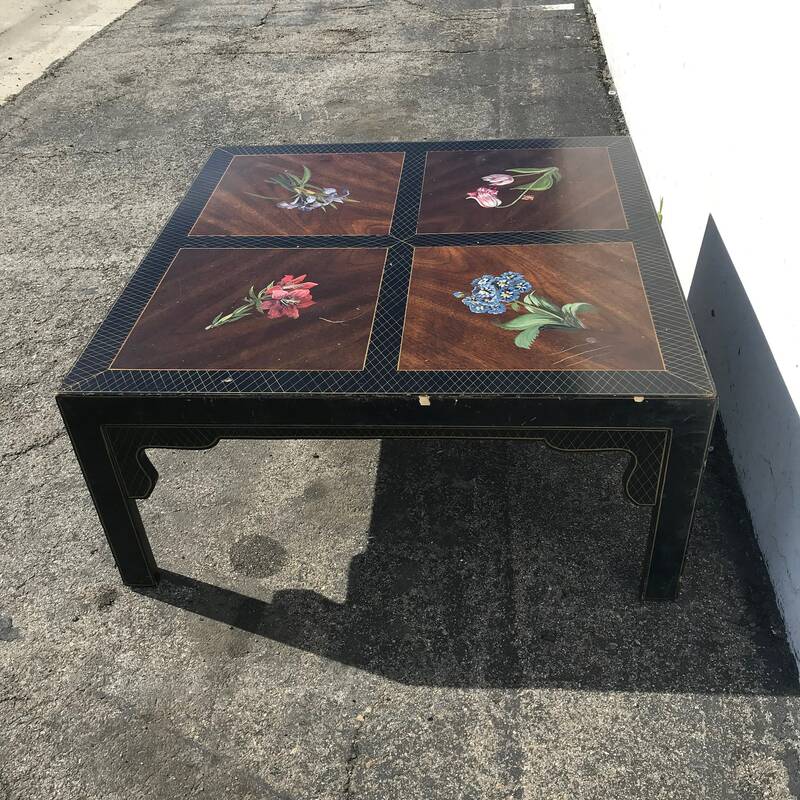 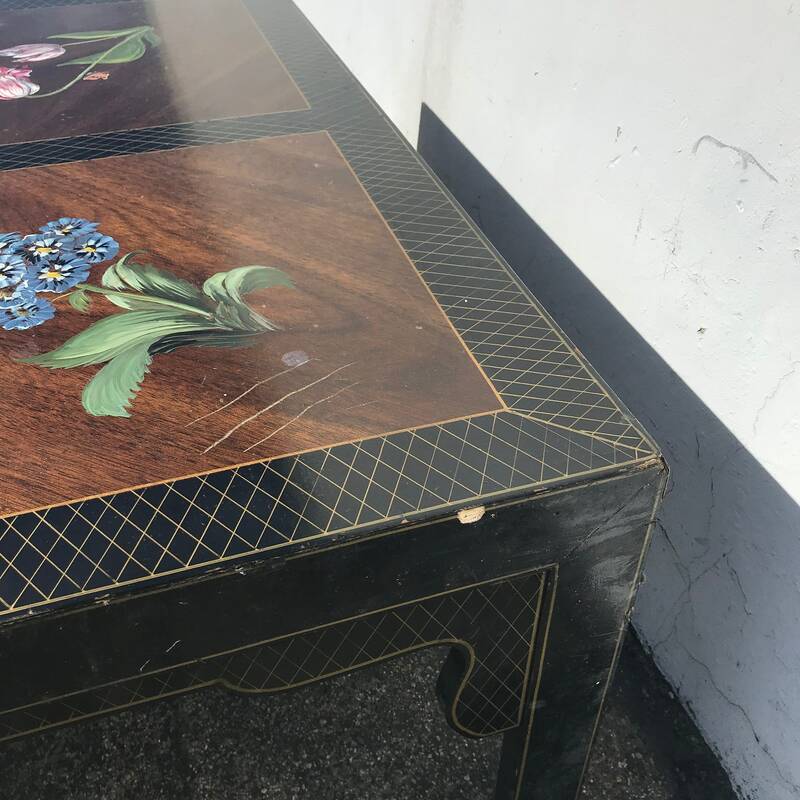 Unique Asian Chinoiserie Inspired Coffee / Cocktail Table with a Chinoiserie inspired style. 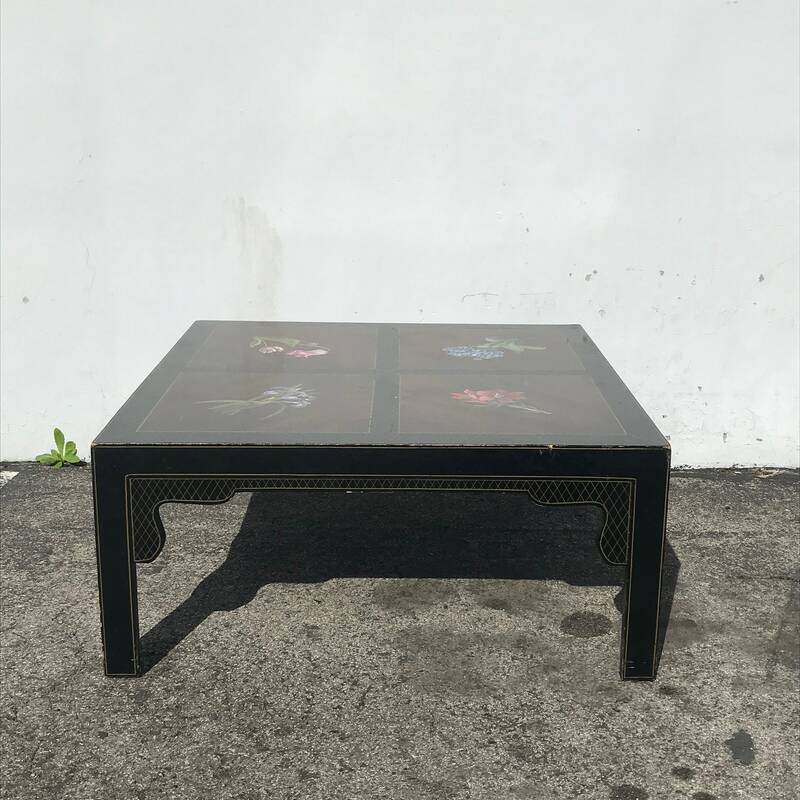 Features a black lacquer finish and colorful painted motif. 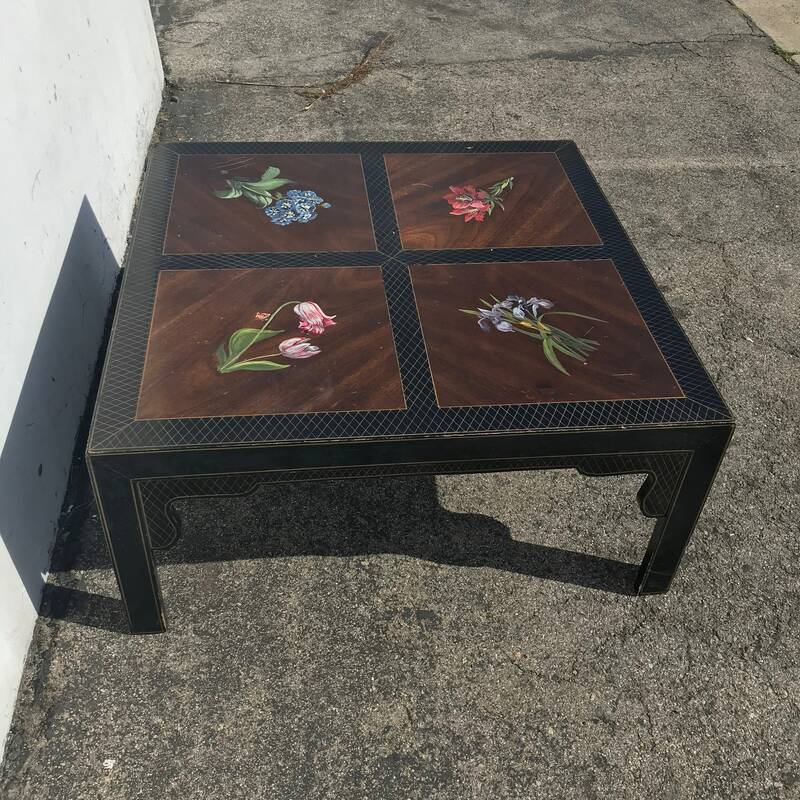 This piece will benefit from refinishing. 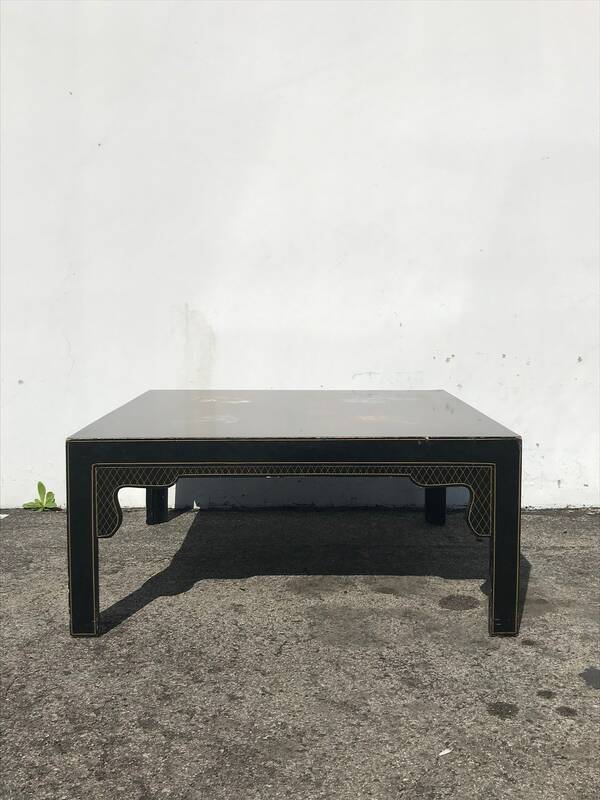 Dimensions: 38" x 38" x 17 1/4"